Job Categories: Gulf Jobs Demand. Job Types: Full-Time. 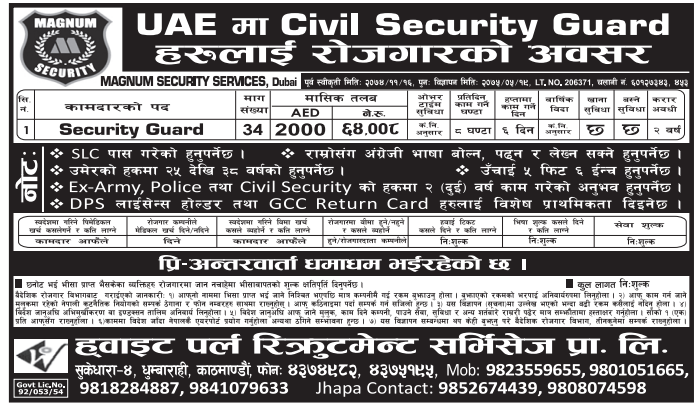 Job Tags: Gulf Job Demand, Gulf Jobs, Security Guard Jobs UAe, and UAE. Salaries: 40,000 - 60,000.